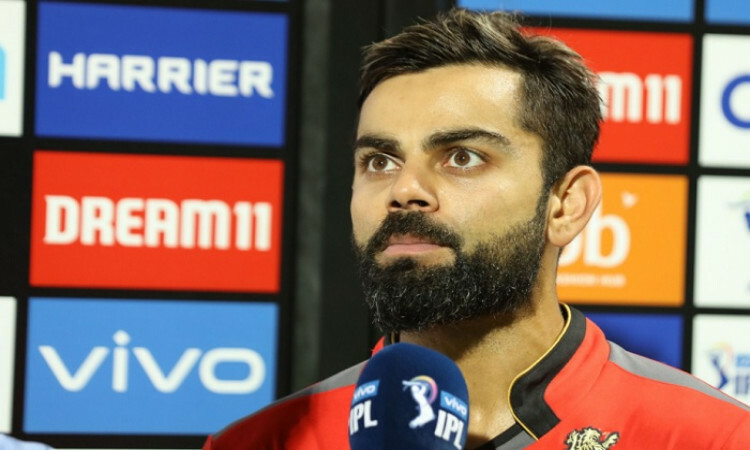 Chennai, March 24 (CRICKETNMORE): It was a start that Royal Challengers Bangalore (RCB) skipper Virat Kohli would like to forget as his team was thrashed by seven wickets by defending champions Chennai Super Kings (CSK) in the season opening game of the 12th edition of the Indian Premier League (IPL) here. But trying to remain positive despite the result on Saturday, Kohli said that it was good to get a loss like this out of the way early in the tournament. Having scored just 70 runs after losing the toss and batting first, Kohli's men saw Chennai chase down the target in the 18th over of the innings. "No one wants to start like this, but it's good to get a game like this out of the way - this early in the tournament. We spoke of trying to be in the game, taking it to the 18th over was nice to see." "The batting wasn't good, it wasn't easy to bat on, looked much better surface though. I thought 140-150 would have been an ideal score, especially with dew expected later on. A scrappy start to the league, but I don't think either team had control over it, the pitch was under the covers for 4 days, but we should have batted better, 110-120 would have been a fighting score," he said. "He has been good in conditions where there's some grass, got his chance now. He will play a big role in the time to come. I thought CSK played really well, they deserved to win, but I loved to see our team fighting all the way," Kohli added.